The Social Studies department would like to congratulate Joclynn Howell and Madison Smith who will compete in the National History Day competition in Washington D.C. 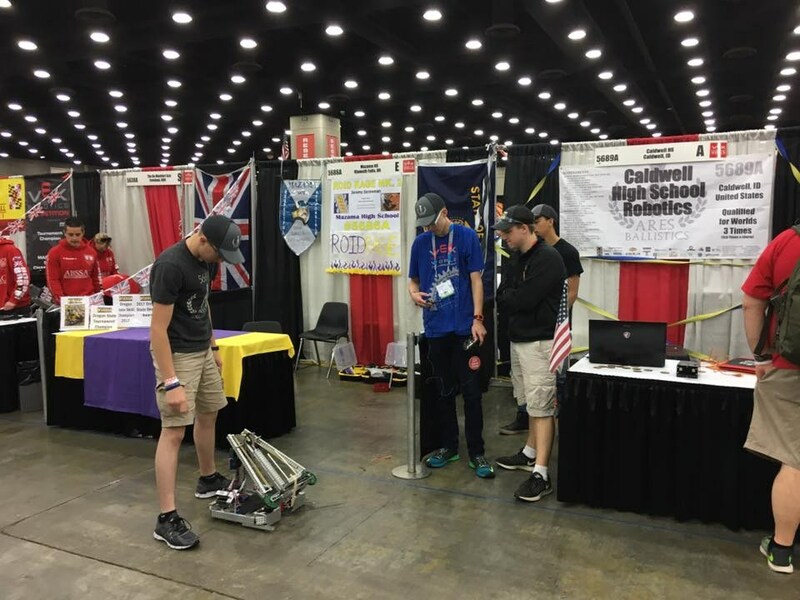 Both of them placed second in their categories and have been awarded scholarships from the state competition and will have the opportunity to win more scholarships at nationals. 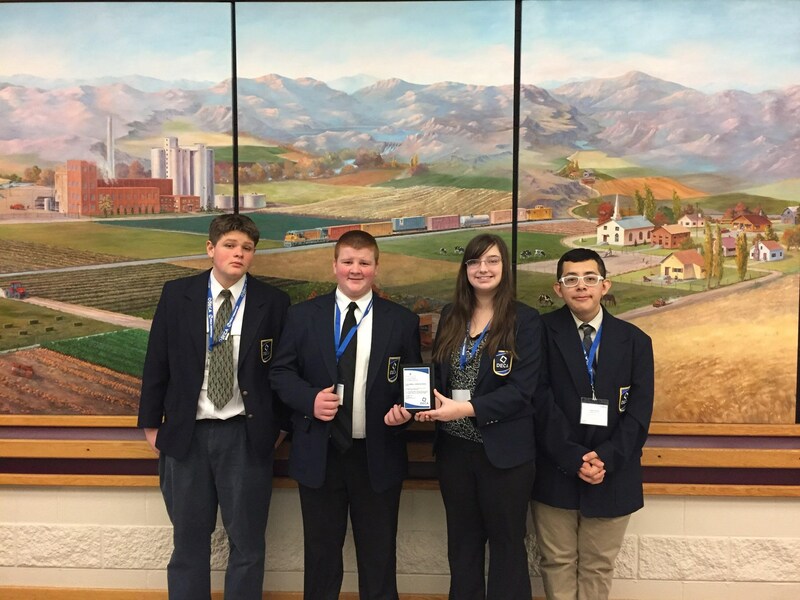 The DECA team attended their state career development conference on February 25-26. In addition to attending workshops, students presented innovation & marketing plans and participated in a variety of role play events. Alex Hensen and Karen Solis placed 5th and 6th with their innovation plan. Great job! 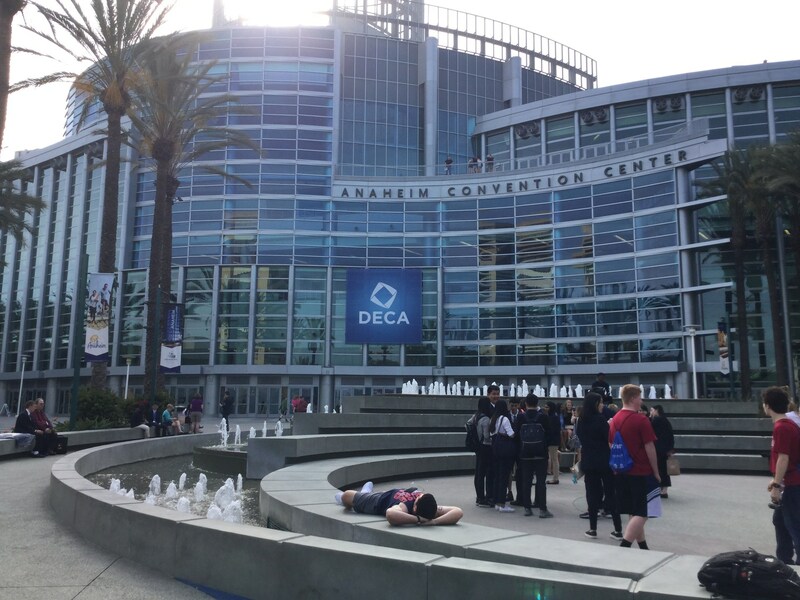 Anyone interested in DECA should plan on attending our meeting on March 14. We will be voting for officers and so it would be a great time to come and learn about DECA. The new Weld-tester at CHS is a result of a great need for our Caldwell High School students. The original, very heavy weld tester, came from ISU in Pocatello. In order for the Weld tester to be duplicated, CAD (Computer Automated Drafting) plans needed to be designed. Jayden Sherman, a talented, dedicated senior, led this project and with copious hours devoted, he was able to measure, draw and develop this highly detailed blueprint. 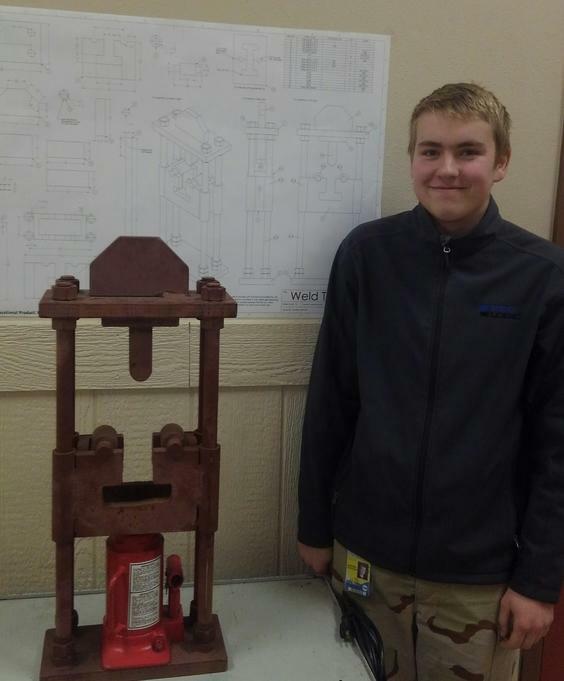 The finalized blueprints for the Weld-tester were sent out to all of the welding programs in the State of Idaho. Having a Weld tester available to CHS Welding students provides a plethora of welding certification opportunities. Great Job Jade, and Thank You! This is a very challenging industry certification exam (3-hour hands-on test). These students are all but guaranteed to get job interviews if they wanted to start working in industry now (at $15-20/hr starting out) with local employers. Please congratulate them on this accomplishment. perfect 100% on the exam! 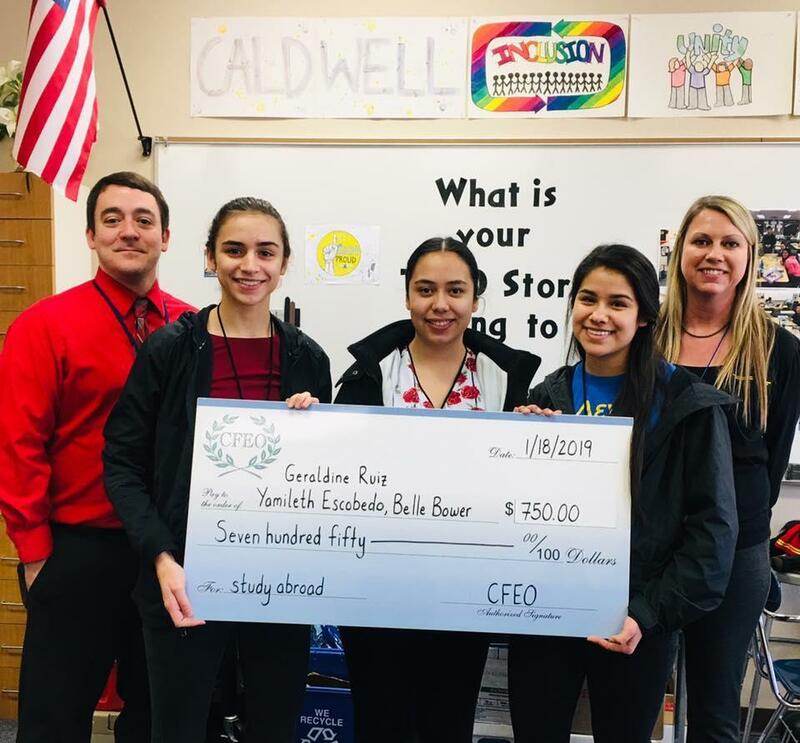 The Caldwell Foundation for Educational Opportunity recently funded a grant request for $750 each for three Trio students to travel aboard to study. Thanks CFEO for your generous donation to CHS students! What a great way to start our season. 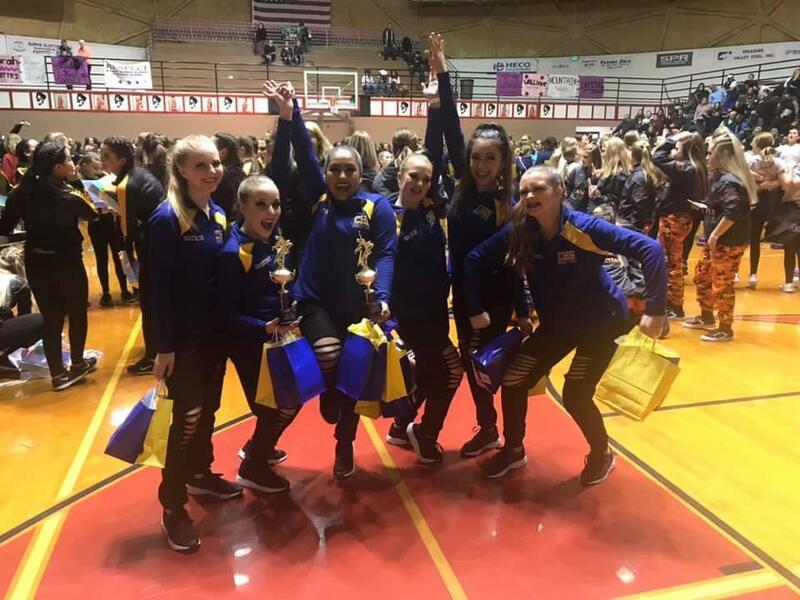 💙💛2nd place small dance and 3rd place military! 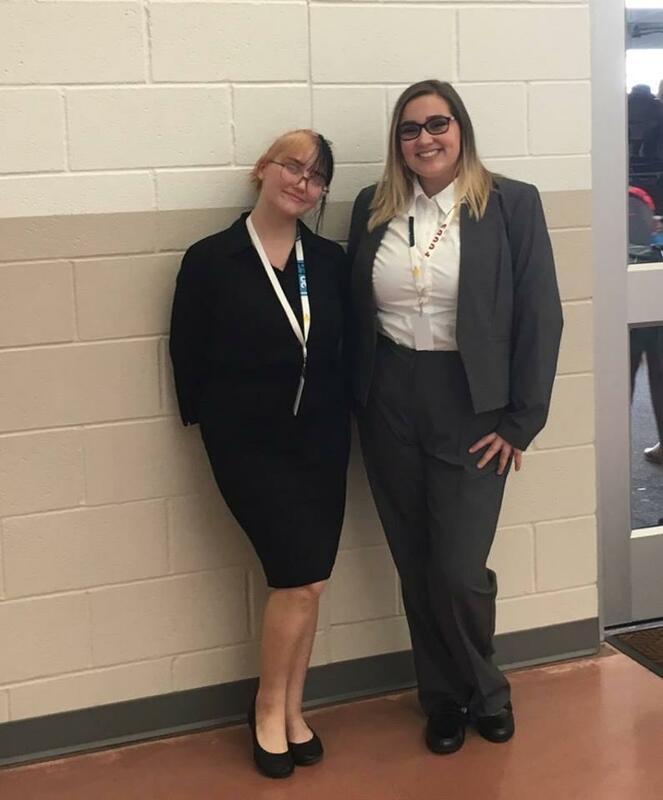 Congratulations to Caldwell High School Business Professionals of America members Kylea Paullus, left, who placed third in Legal Office Procedures and Lorelai Stitzel who placed fourth in Advanced Interview Skills at their regional competition in Marsing. Our CHS Automotive program partnered with local community member Mr. Soderman to restore two tractors. 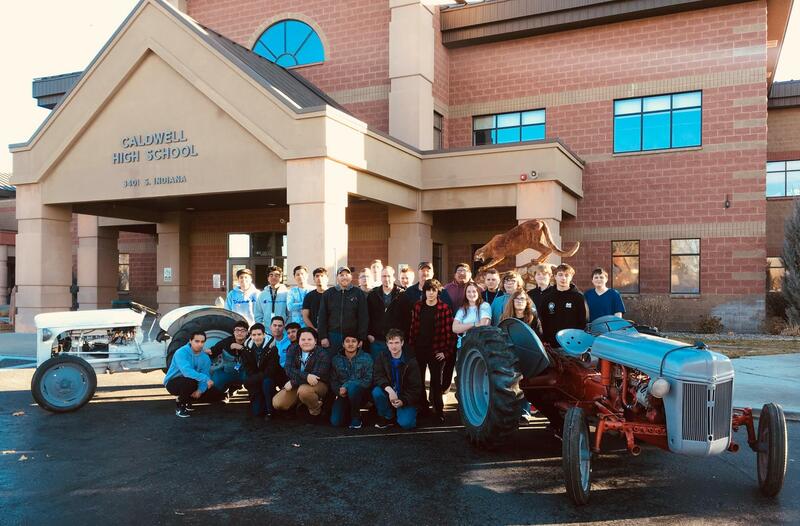 The 1953 Ford tractor and 1951 Ferguson tractor were a great opportunity for students to learn about machine work, rebuilding the equipment, restoring paint work, problem solving, and more. The project was spearheaded by the auto instructor, Mr. Ireland who was assisted by Jim Mc Creary and Nate Holm. Our auto students had a valuable experience restoring these tractors. Congratulations to our Speech and Debate team who competed in a total of 49 rounds of competition at the Holiday Havoc tournament. Makayla Martin took FIRST PLACE OVERALL in the novice Informative Speaking Category! 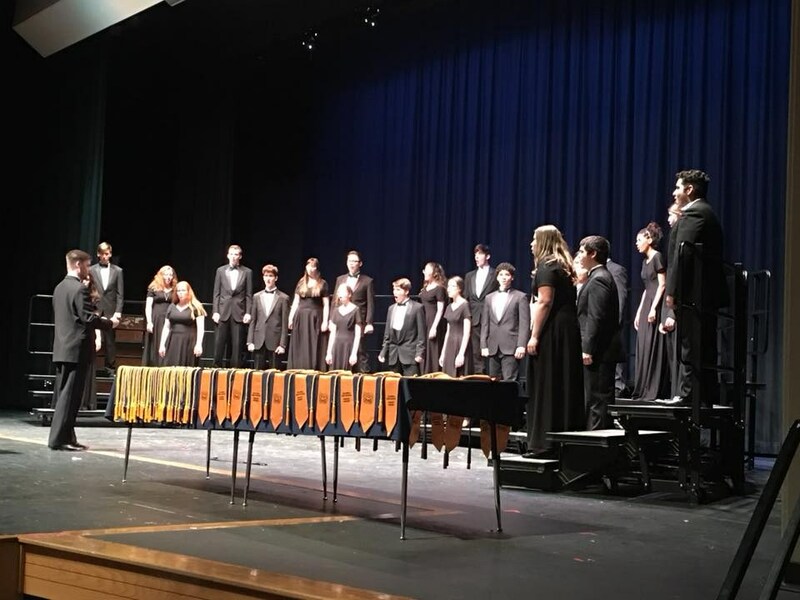 Eliza Roley (pronounced Role-ee) earned both a first and a second place in preliminary rounds, and Manuel Arriaga finished with two second-place rounds in the competition. ALL the team members did an excellent job representing us! Go Cougs! 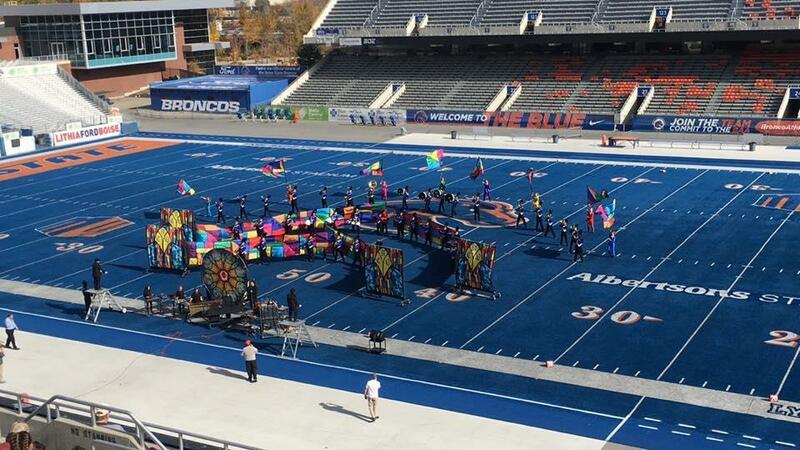 The Caldwell Cougar Marching Band dominated at the Mountain West Invitational in Pocatello. Congratulations! 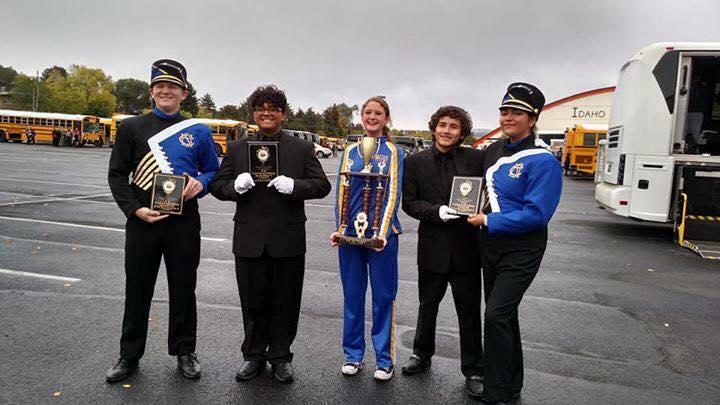 At the DIII Marching Band Competition, CHS placed 3rd Overall in the 4A division! They were awarded Best Visual and Best General Effect. Congrats! Our CHS Student Council was chosen for an Outstanding Student Council award AGAIN this year at Regional and State Conferences! 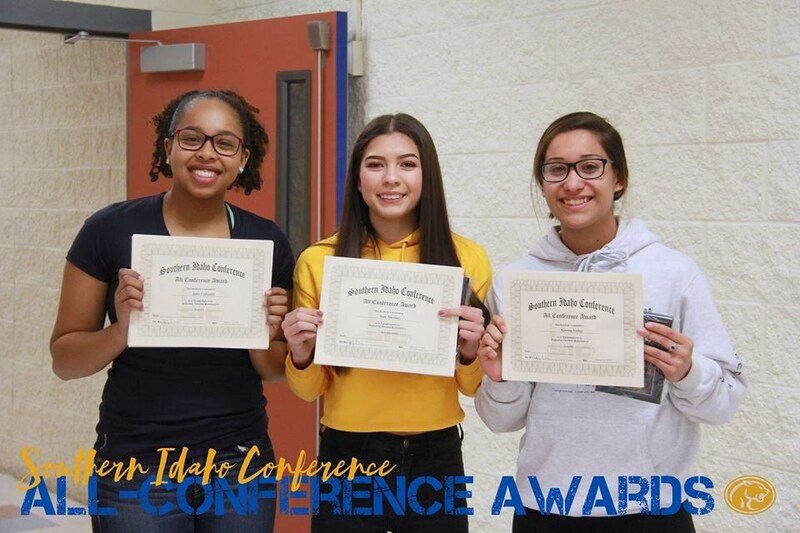 Student Council traveled to The Idaho State Student Council Conferences in Boise Feb 21-23. We are grateful for a generous donation from the Caldwell Board of Realtors which will allow all of the student council to attend. Our Cougar Swim team had a great day at Districts! 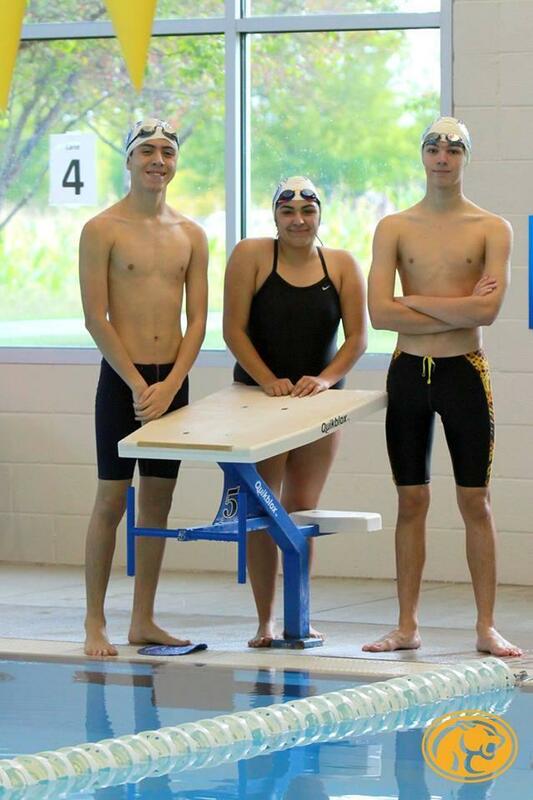 We had three swimmers that made it to the finals in their strokes. Steven was the #1 see in the 100 Freestyle. Andre was the #3 seed in the 200 IM. Zephi is seeded #6 in the 100 fly. Great job Cougar Swimmers! 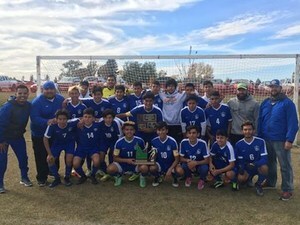 Our CHS Soccer Team won the State Championship.Congratulations! 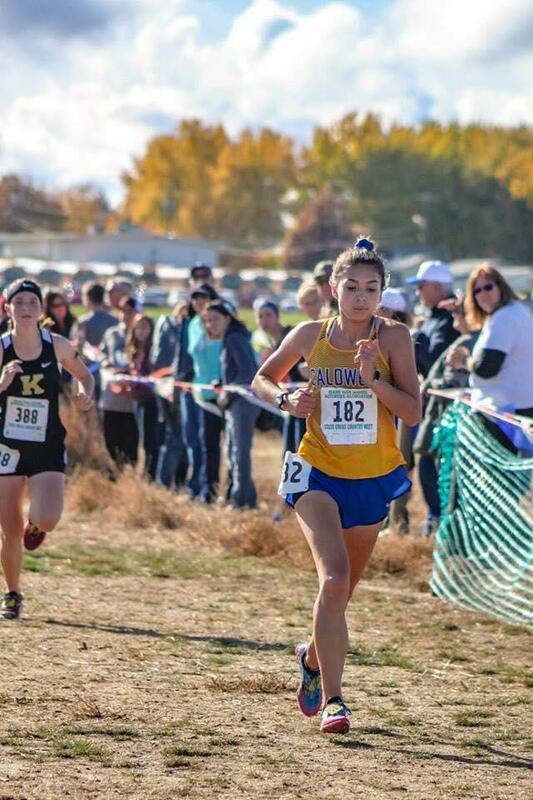 Congratulations to Jade Martinez for qualifying for the State Cross Country Race. She represented CHS very well. Caldwell High School is recognized for 100 years of continuous accreditation. 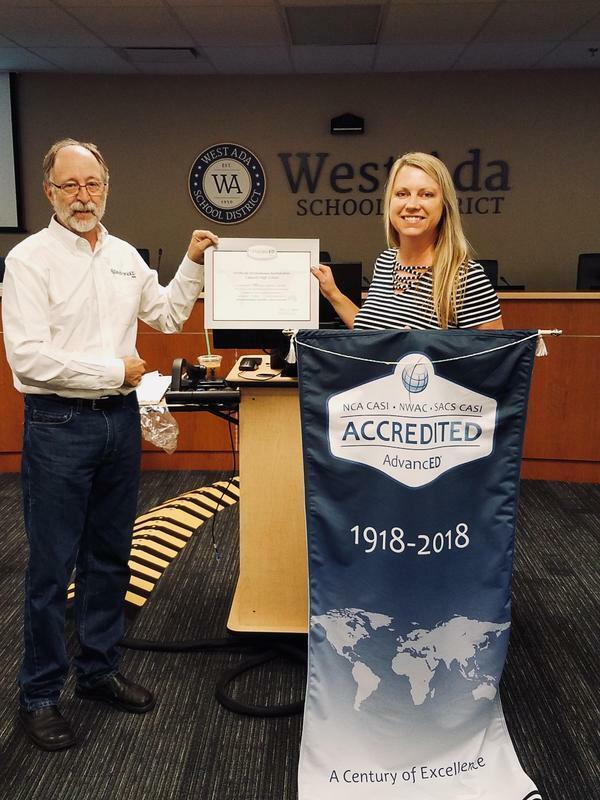 At the Advanc-Ed accreditation training in June, Dale Kleinert presented Ms. Wilson with a banner and certificate recognizing CHS for 100 years of continuous accreditation. Only five high schools in the state have achieved this honor. CHS is accredited by the Northwest Accreditation Commission, a division of Advanced-Ed. This recognition is a commendation for Caldwell High School’s long term commitment to quality and continuous school improvement. CHS recognizes our Honor Graduates and Top 10 at the Senior Honors Reception. 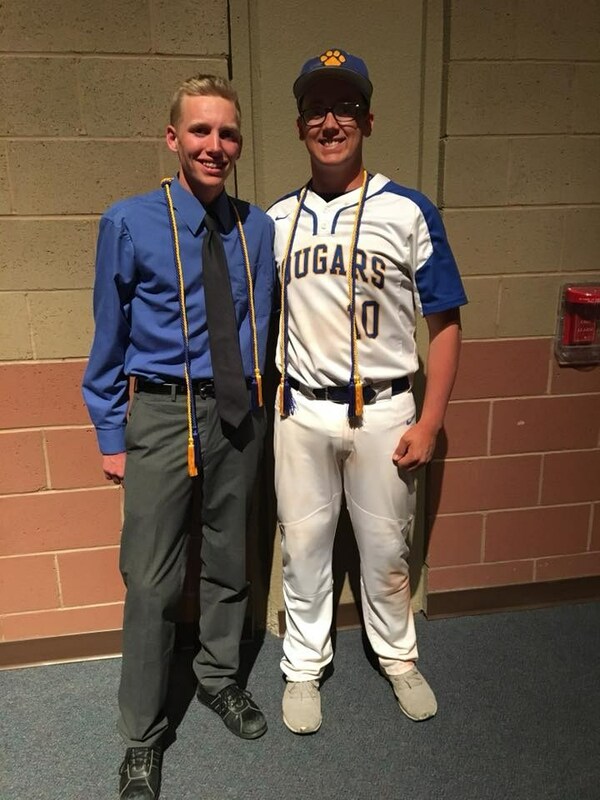 The Top 10 received their stoles and all students with a 3.5 cumulative GPA earned honor cords to wear at graduation. CFEO Scholarships were given. 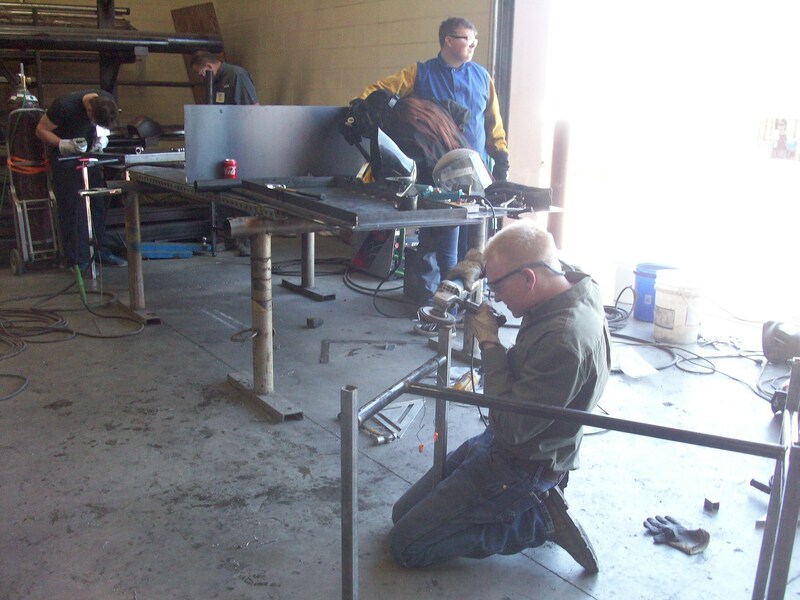 Welding students competed in the Rocky Mountain Shootout Welding Competition at ISU in April. 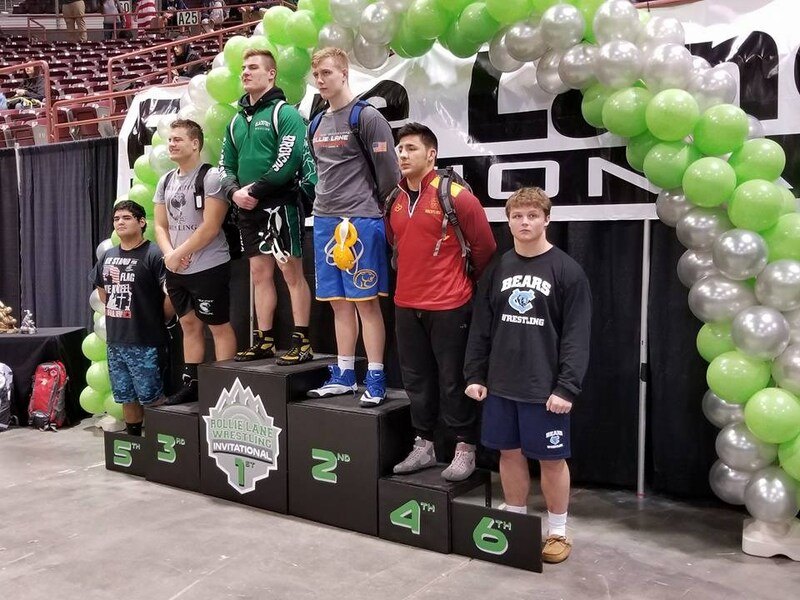 Chris Truksa put in many practice hours above and beyond class time, and it paid off. He won three new welding helmets, tool bag full of tools, gloves jackets, and more. Chris took 4th place in the SMAW/GMAW, (stick and wire feed welding), 3rd in the GTAW (Tig welding), and 2nd in the written test. Mr. Cooper competed in the instructor's oxy-fuel cutting contest, and took first place again, and came home with a nice Canyon Cooler, and a $100.00 gift card. All in all, it was a great experience. 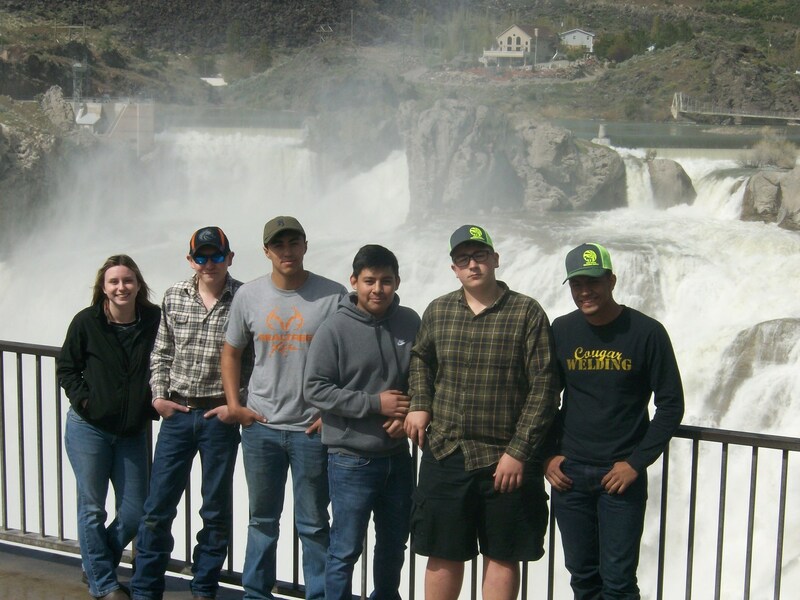 The CHS welding fabrication team also traveled to Twin Falls for CSI's Welding Wars Welding competition. 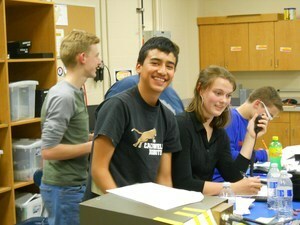 The fab team consisted of Mason Harrison, Cecilia Gonzalez, and Jayden Schimmels. They were given a list of materials and the topic of a welding table a while back, and worked on designing it from that list of materials. At the contest, they worked very hard from 9:30-2:30 building it, and all their work paid off. 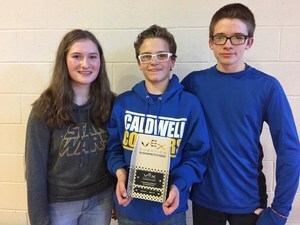 Caldwell fab team took first place this year. Last year Mason headed up the team and they took second place. 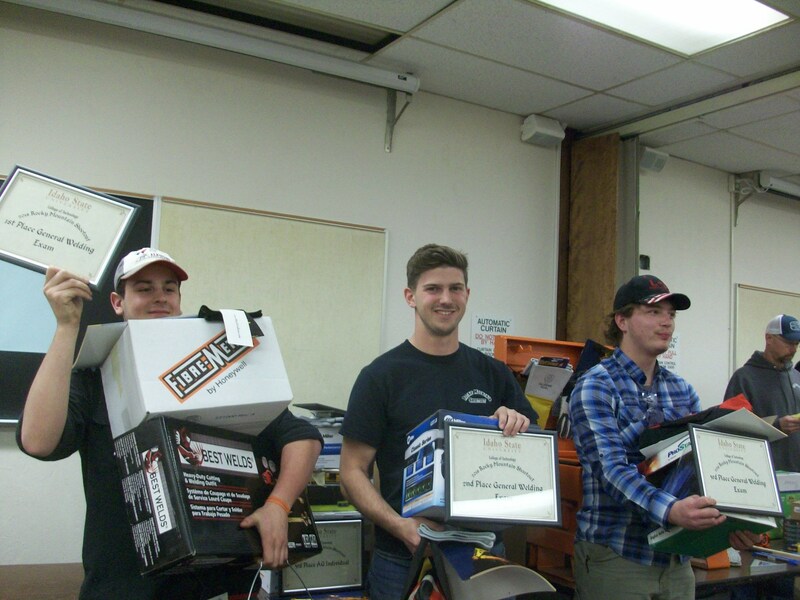 They each won a new digital welding helmet, $200.00 Norco gift card, $350.00 Gem State Welding gift card, 6" Makita grinder ($140.00), $500.00 scholarship to CSI's welding program, and a nice trophy. 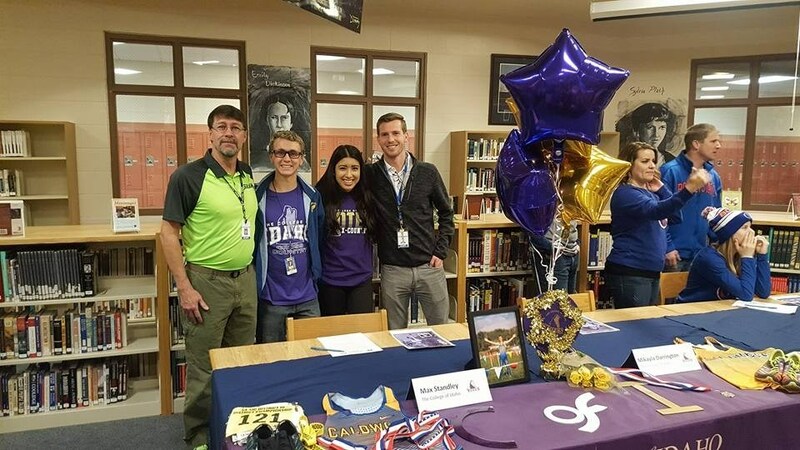 Please help us congratulate Sydney Smith (Soccer-Boise State), Max Standley (Cross Country-The College of Idaho), and Mikayla Darrington (Cross Country-The College of Idaho). 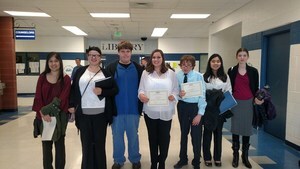 Congratulations to our CHS students who qualified for State National History Day! 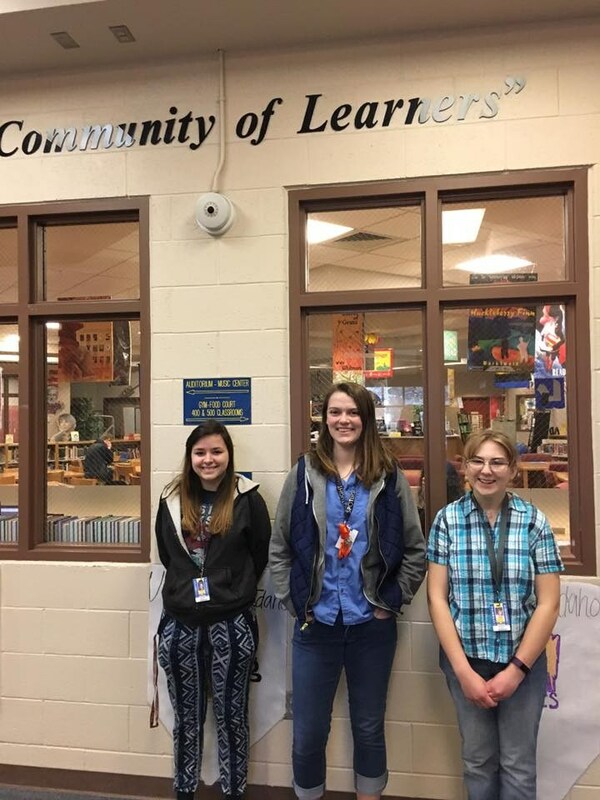 Kelsey Ferro earned 1st in an individual documentary, her topic is Cecil Andrus; Elise Doyle earned 2nd in an individual exhibit about the Salem Witch Trials; Eliza Roley earned 2nd in a historical essay about the Treaty of Versailles. The theme of National History Day this year is Conflict and Compromise. Thanks Mrs. Lile for helping students through the process. On to State April 14th. Update: Kelsey Ferro took 2nd place in individual documentary at the state competition and earned a spot for nationals in Maryland this June. Congratulations! 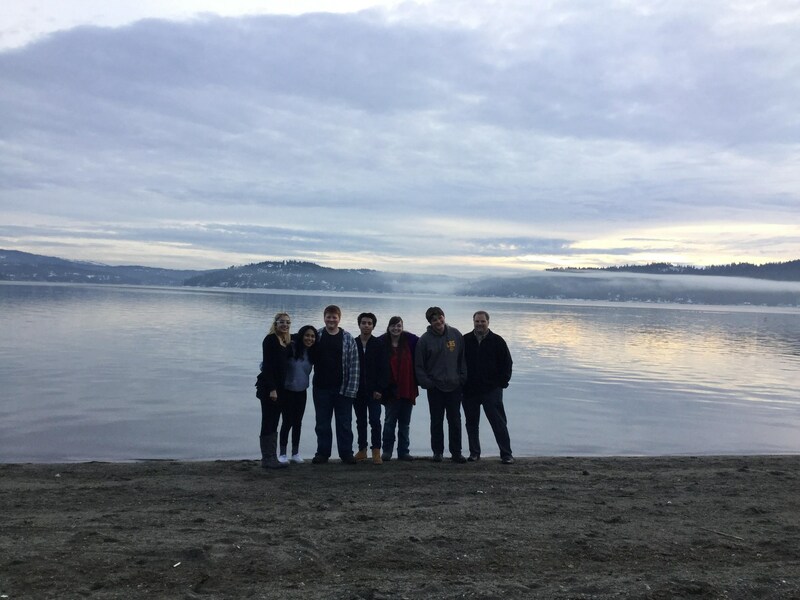 The CHS Deca team competed in a regional event in Couer d'Alene, a state event in Nampa, and 3 of our members (Grant Winegar, John Henrie, & Christian Gamino) will be competing and attending leadership workshops in Atlana in April 2018. 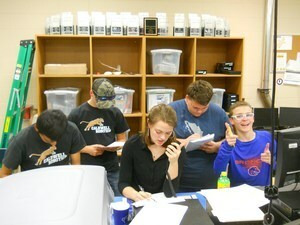 The CHS science bowl team got to compete in the championship bracket but lost in the quarter finals. All-Conference honorees. Jalen Callender 2nd Team. Jade Martinez Honorable Mention. CHS Student Council is the best! Our CHS Student Council wins the Outstanding Student Council award at their state conferences AGAIN!! You are awesome!! 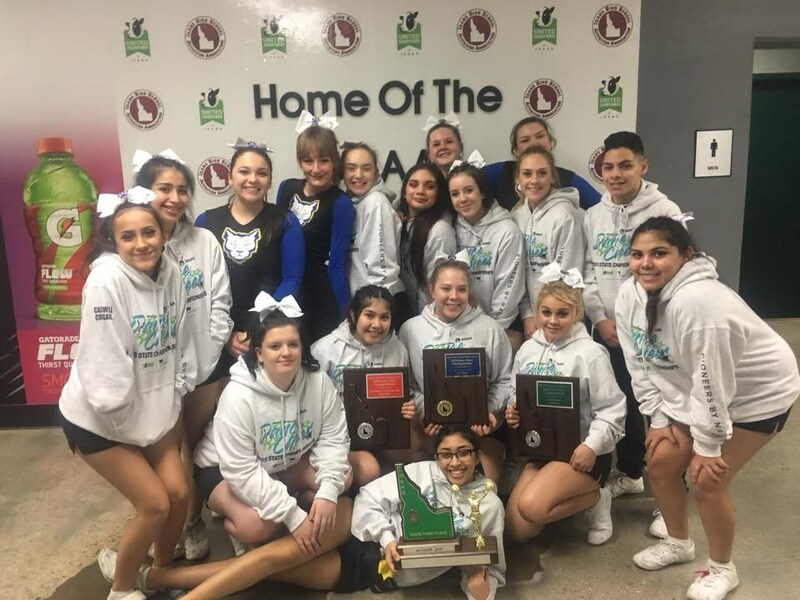 Congratulations CHS Cheer!! 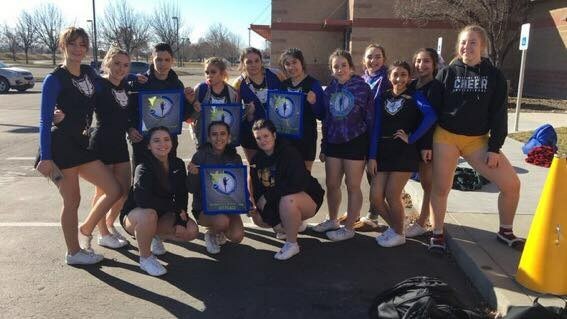 1st in Show, 2nd in Stunt, 3rd in Sideline, and...........3rd Place in State overall! 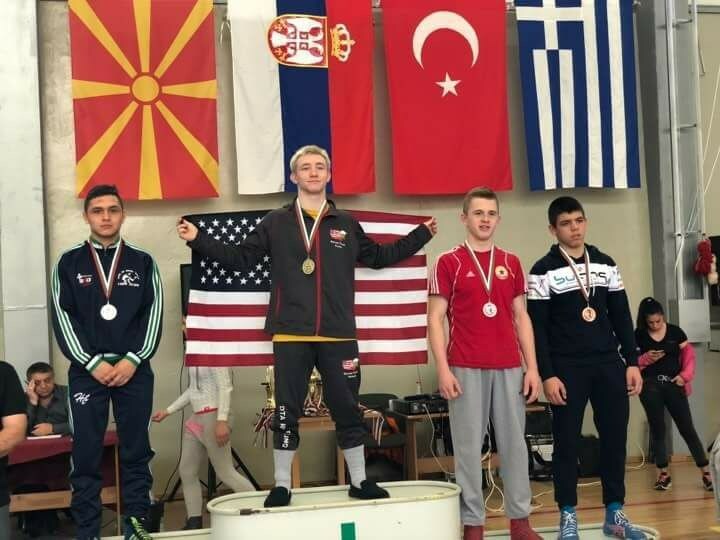 CHS Junior, Christian Hudson, shows off his 1st place medal from the Dinko Petrov tournament in Bulgaria. 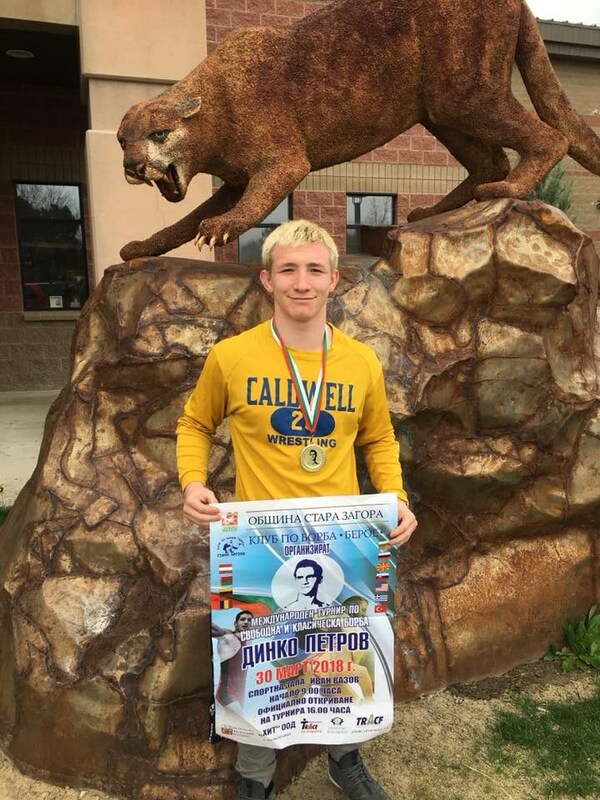 Christian trained with the Delchev Trained Academy for the event, a premier wrestling training program. Congratulations to Christian (Champ), Travis (Runner Up), and Zack Ramos (5th) for their finishes at Rollie Lane. The team finished 10th out of 59. Good Job Men. 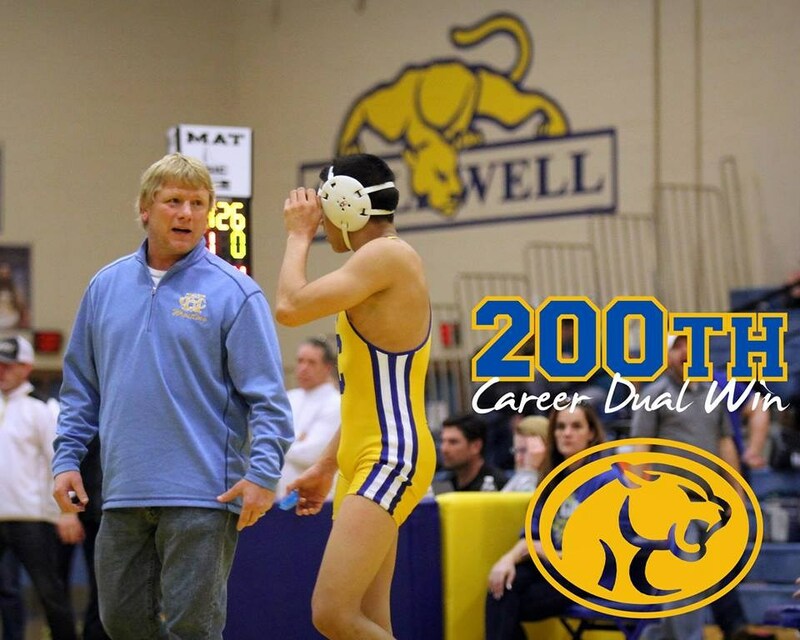 Congratulations to coach Kloetzer -- 200 wins! 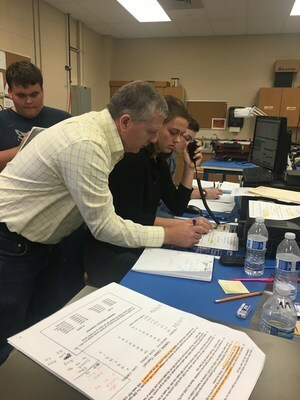 In November, Caldwell High School students participated in an amateur radio contest called the ARRL School Club Roundup. 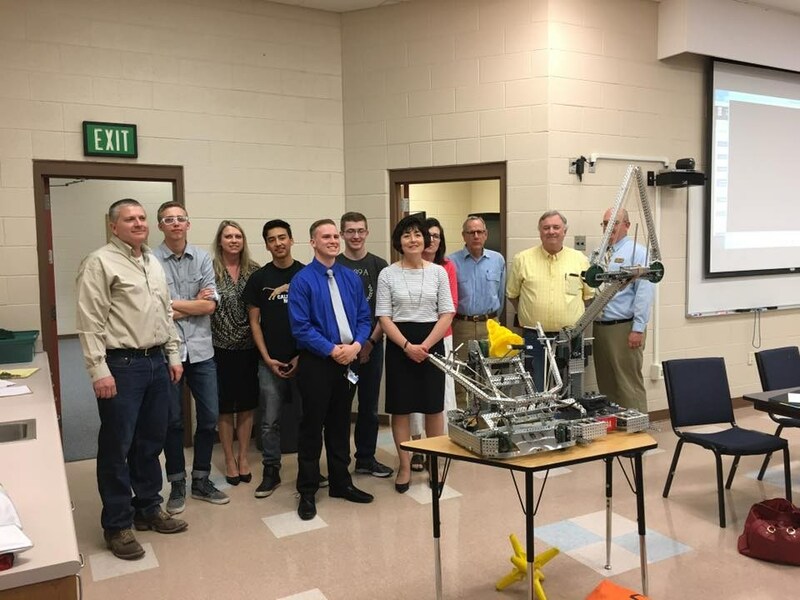 Approximately 15 students from the CHS Engineering and Robotics classes spent their afternoons and evenings making radio contact with other stations from across the continent. Mr. Z's class. This was one of the coolest and nerdiest things I can gladly say I've done. From stringing the antenna from the roof to using the radio and talking to new people, these kind of opportunities are why I love engineering". 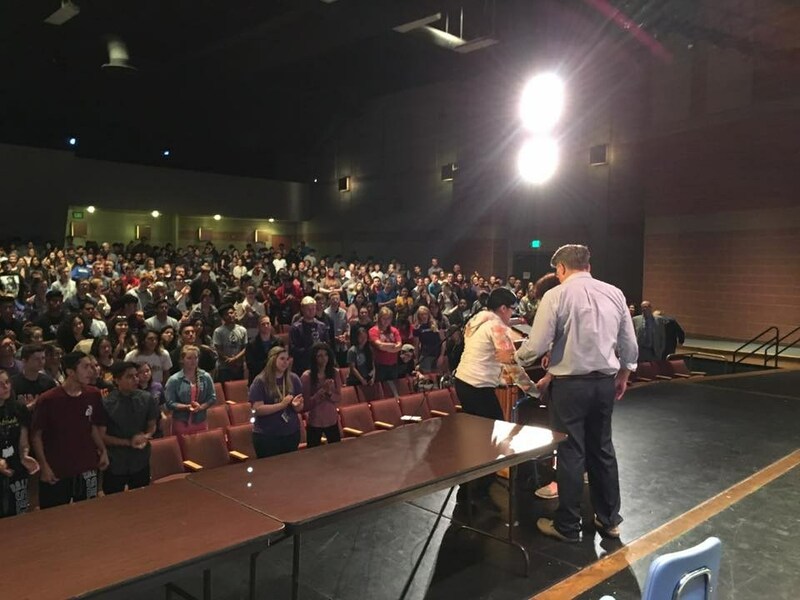 At our CFEO Scholarship Assembly we awarded over $30,000 in scholarships and students signed a banner indicating where they will go on with their education and careers after high school!! One of the highlights of the scholarship assembly was when Yesenia Rodriguez was awarded the Adam Gabrielson Scholarship and the Todd Rutledge Exceptional Courage Scholarship. She received a standing ovation. 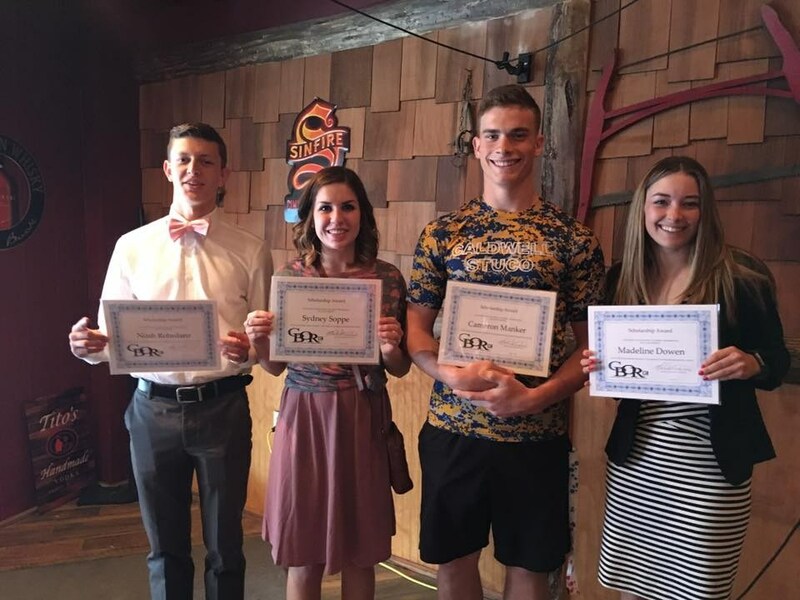 Thank-you to the Caldwell Board of Realtors for recognizing these amazing CHS students with scholarships!! Lupita Garcia, Noah Rohrdanz, Sydney Soppe, and Camron Manker, and Maddie Dowen. 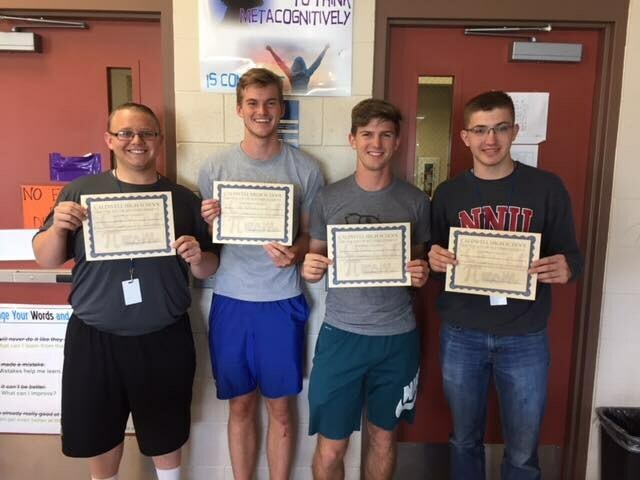 Many of our students enrolled in Business Computer Applications earned the Microsoft Office Specialist certification in Office Word 2013 and a handful of students earned the Adobe Certified Associate certification in Adobe Illustrator. A four-day Forum hosted in ANN’s hometown of New York City in June 2017 where Fellows are able to connect with a powerful network of ANN executives and global women leaders from business, politics, entertainment and the media to cultivate their own leadership abilities. During the Forum, Fellows are introduced to unique leadership and communications training's, presentations on real-world solutions for social change, mentor-ship opportunities, and the chance to learn about their personal style to help them put their best selves forward every day. In Faith's application to be a HERlead Fellow, she was asked to propose a project that would benefit her community. 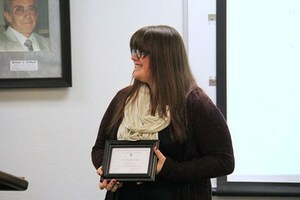 Faith wrote about expanding the book club idea into a one-day leadership conference for young women in Caldwell. She will be eligible to write for a grant of up to $2,000 to help fund her project. Congratulations to our National Honor Society inductees and graduates. 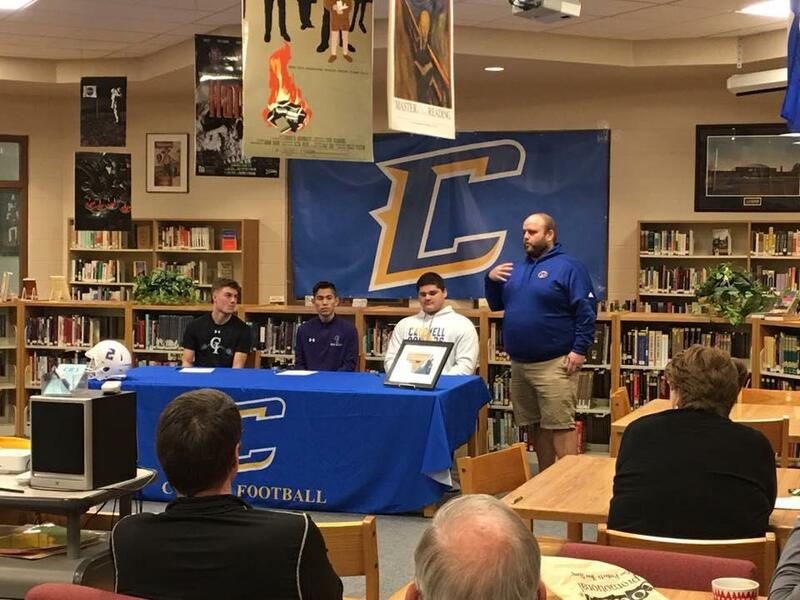 The ceremony was held April 24, 2017 at CHS. These students exemplify the standards of character, leadership, service, and scholarship. Congratulations to Poetry Challenge Winners! 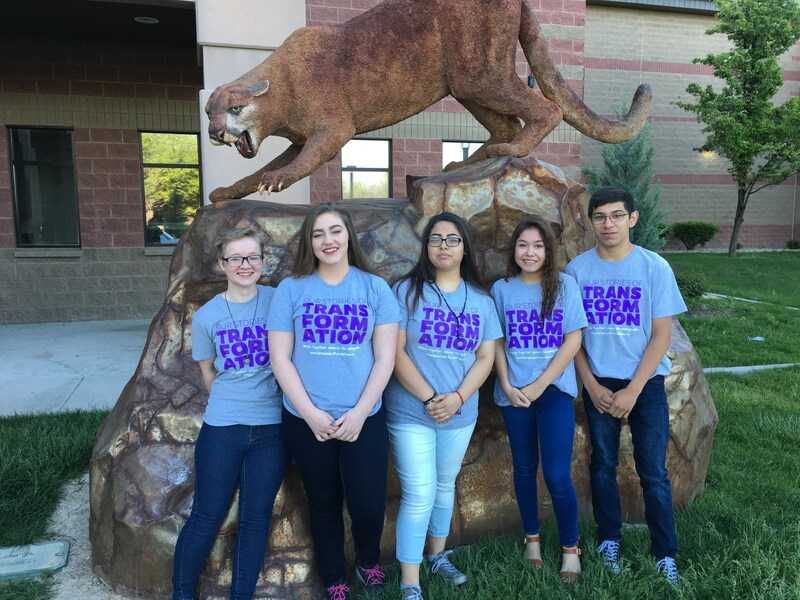 Samantha Asbury, Tabitha Elgan, Jocelyne Garrido, Isaac Herrera, and Aaliyah Juarez participated in the 8th annual statewide poetry challenge. Their poems were selected from over 2000 entries and were published in "Stories of Transformation 8th Annual Writing Challenge." What an honor to be selected and published! 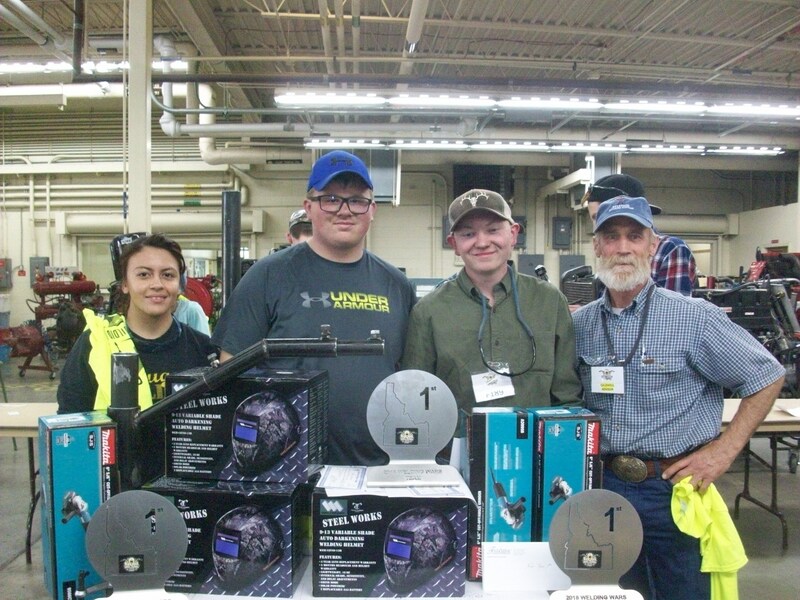 Several welding students attended the College of Southern Idaho's "Welding Wars" competition in April. 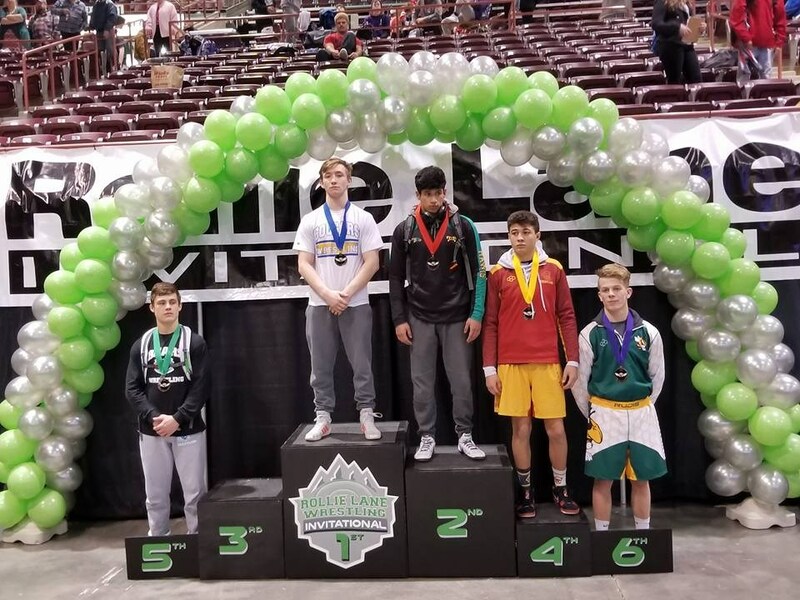 Three students competed in the individual contest, and Ilijah Velasquez took 4th. 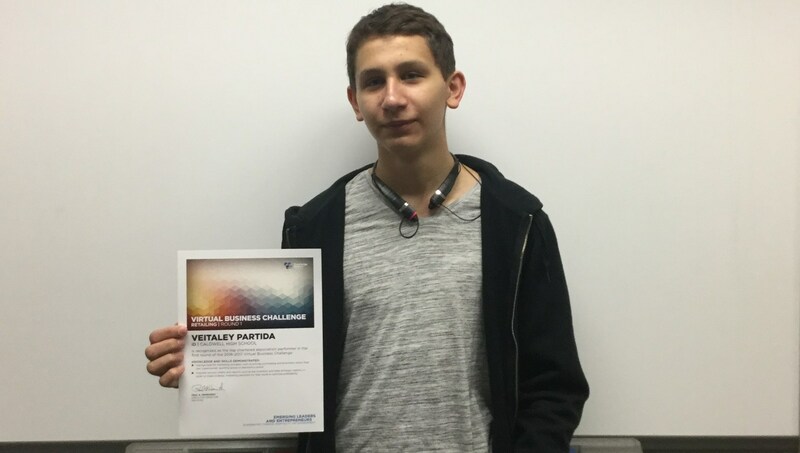 Nate Farris tried the Virtual Welding competition and placed 1st giving him a $25.00 gift card.. The welding fabrication team which only had two days to come up with a design and make a test run on it, took 2nd place. Mason Harrison, Destiny Blanke, and Javier Dominguez, worked their tails off for nearly four hours to complete the project. 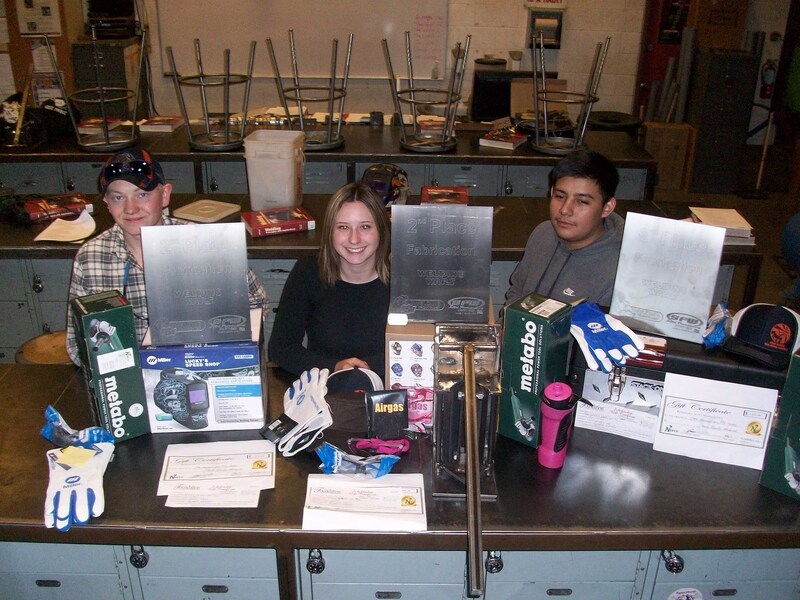 They each came home with a new hand grinder, welding gloves, laser engraved trophy, a $150.00 gift card to Norco Welding Supply and a $300.00 scholarship to CSI. Each contestant's ID number was put in a drawing, and Mason won a $325.00 welding helmet, Destiny won a $165.00 welding helmet, Javier won a nice tool box, and Alejandro Dominguez won a $150.00 Makita hand grinder. Mr Cooper competed in the instructor's oxy-fuel cutting contest, and gave up first place by less than a second, but came home with some nice welding posters and a Norco gift card (never too many tools). Congratulations to junior Kayla White. She earned 2nd place at the regional History Day competition. She goes to state at C of I on Saturday, April 15. 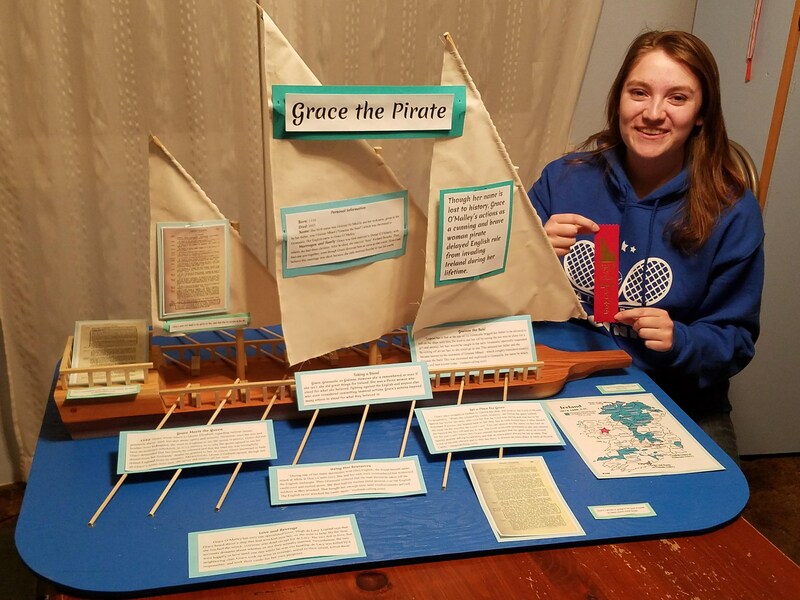 Here's what Kayla says about the project: My project subject is Grace O’Malley, Irish woman pirate and leader. During her lifetime in the 1500s, she and her tribe protected Ireland from British rule. She was a strong, brave woman, knew exactly what she wanted, and was not afraid to go for it. I spent all of Thanksgiving break working on the physical project. It took a lot of work, but with help from my dad's handyman expertise, and his power tools, I was able to come up with something that I never thought I could. It's been an amazing experience, and I can't wait for state! 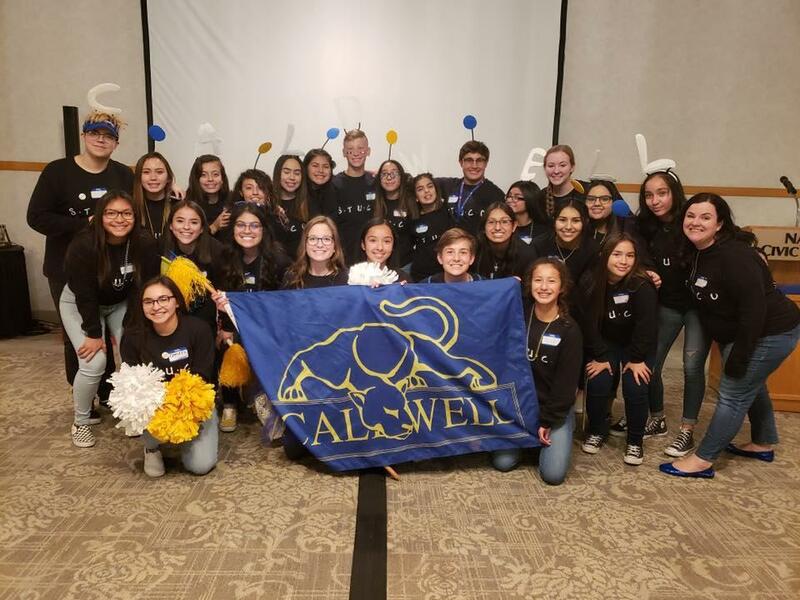 On March 20, 46 Caldwell High School students visited Boise State University to take the Spanish College-Level Examination Program. ALL students passed the exam and ALL received some university credit. What a great day! 32 students received 16 credits at the university level: Spanish 101, 102, 201, and 202. This is a total of 512 credits. 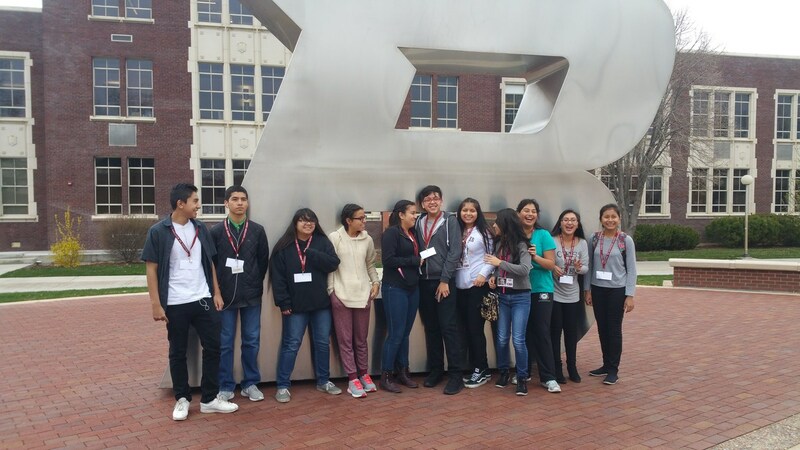 14 students received 8 credits, for a total of 112 credits. 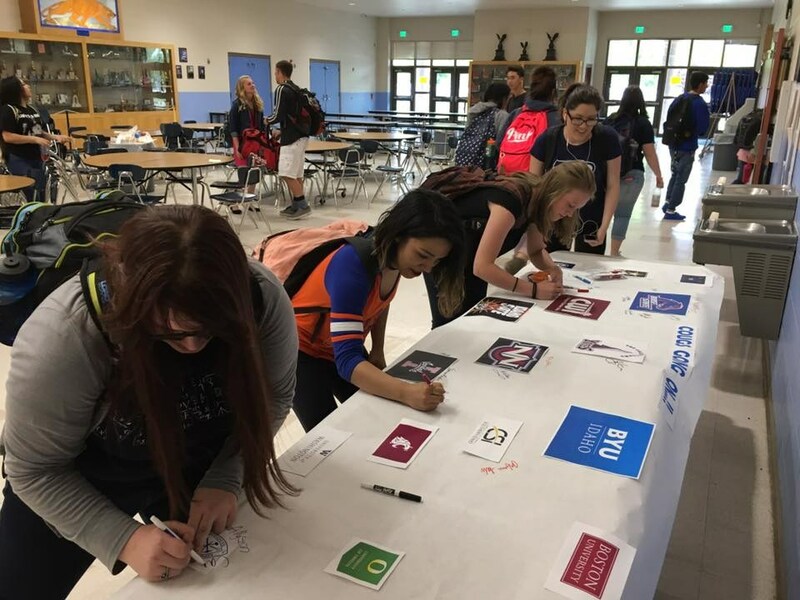 Within one school day, our students received 624 credits! 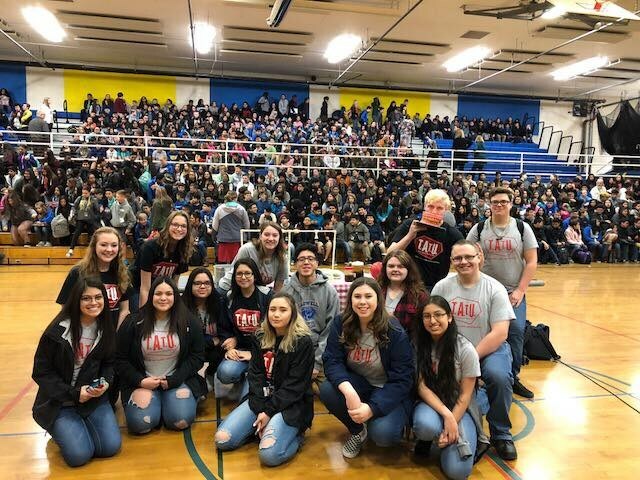 Thank you to Scott Nelson for taking the lead on registering students, Steve Jenkins from CWI for helping make this all possible, and Fred Betancourt for helping chaperone today. 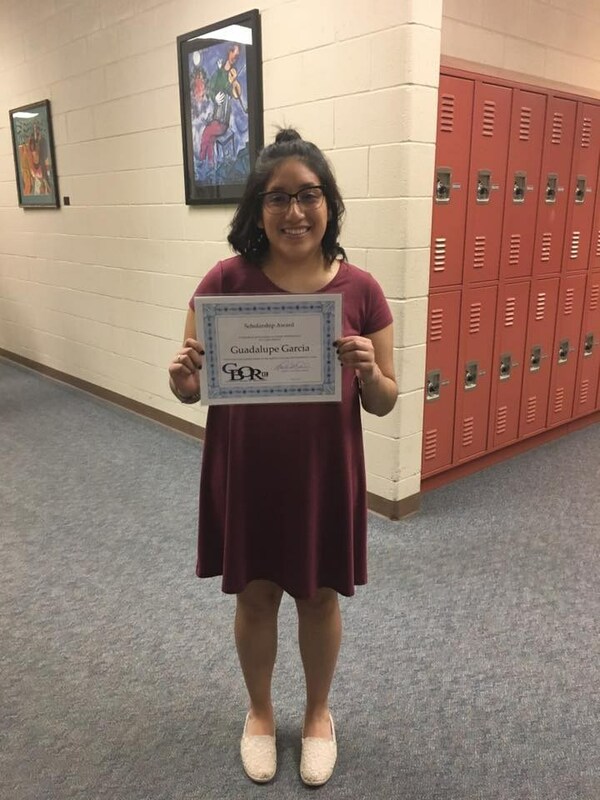 Caldwell High School’s National Hispanic Scholar! Angelina was selected for recognition by the National Hispanic Recognition Program a prt of the College Board. 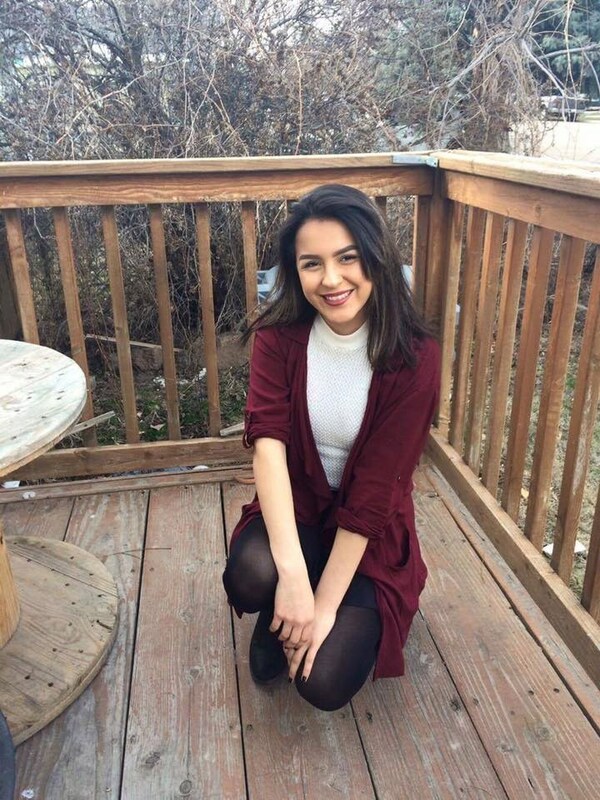 She scored in the top 2% of Hispanic and Latino PSAT/NMSQT test takers last year. Angelina is a Senior at CHS and says she is “inspired by the fear of failure”. 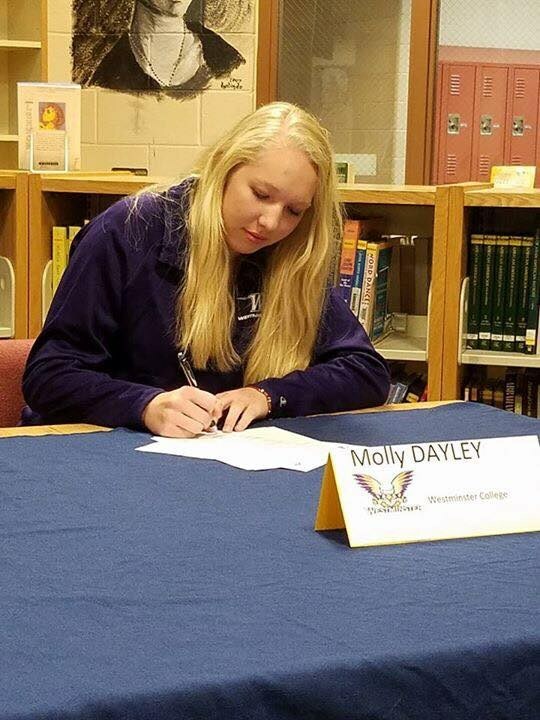 Along with this comes a determination to continuously excel in school and improve her chances for the future. Since entering high school, each year has been more academically challenging and she has risen to the task. 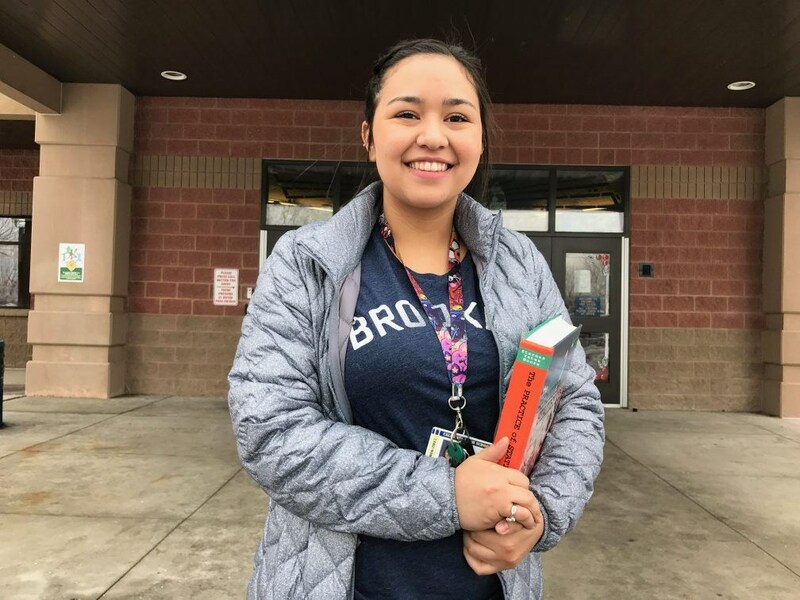 In addition to earning the Hispanic Scholar honor, she has been accepted into the College of Idaho and is excited for what her future holds. Aly Cameron received the National Merit Scholarship commended student award. This is given for outstanding achievement on the PSAT taken as a junior. This award puts Aly in the top 5% of students who entered the National Merit Scholarship Competition. 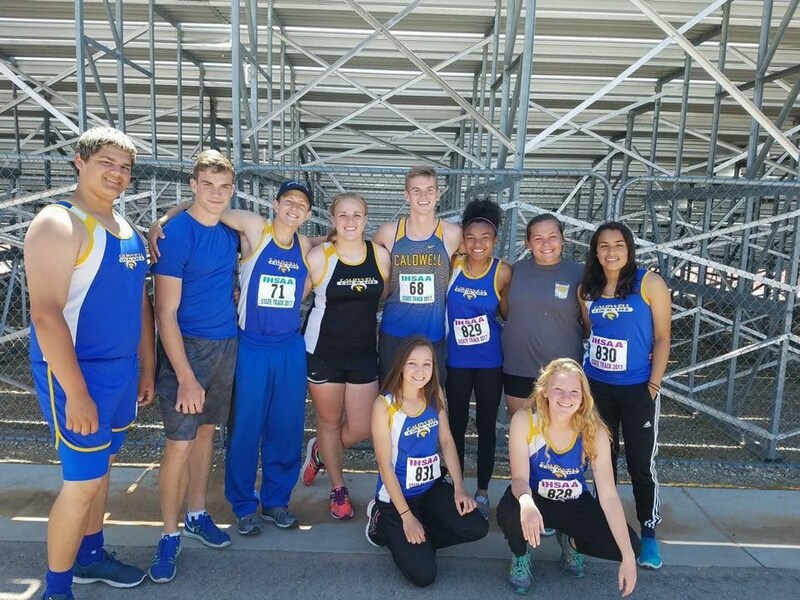 The CHS Cross Country Team competed at the State Meet in Pocatello. The Girls Team finished 6th and the Boys Team finished 7th. 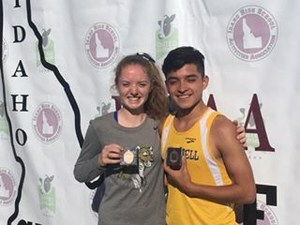 Hannah Webster medaled in 7th place and Juan Saavedra medaled in 15th place in the State. Coach Hunt was named SIC Girls Coach of the year! 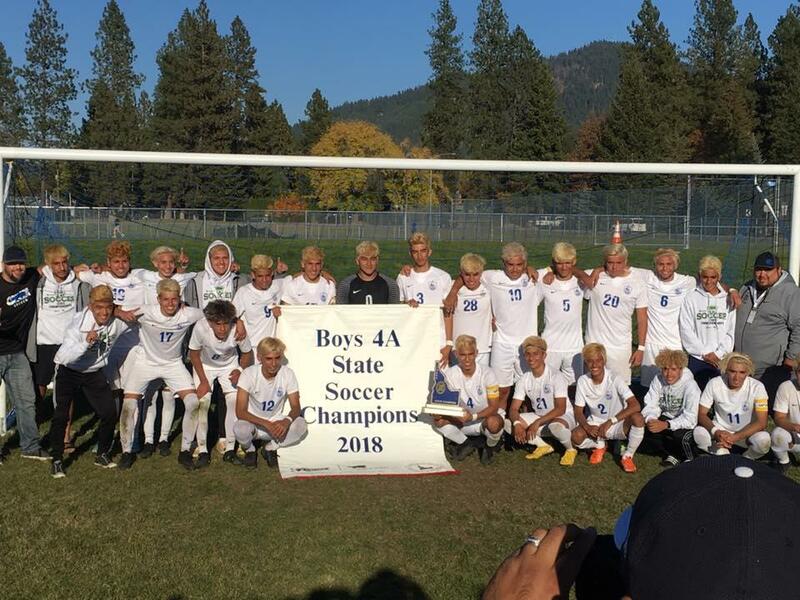 Congratulations to the CHS Soccer Team: 3rd Place in State! Danny Cuevas was selected as the boys soccer athlete of the year! 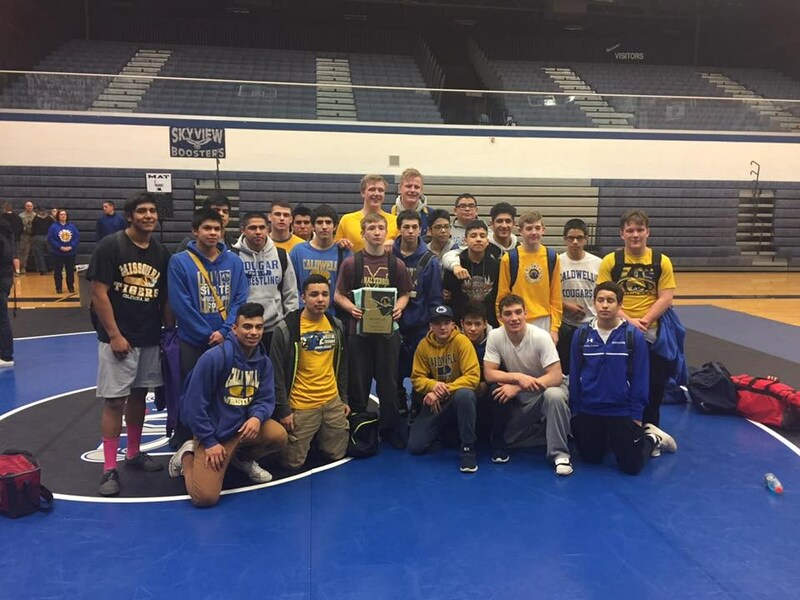 CHS Wrestling: 2nd Place in State! 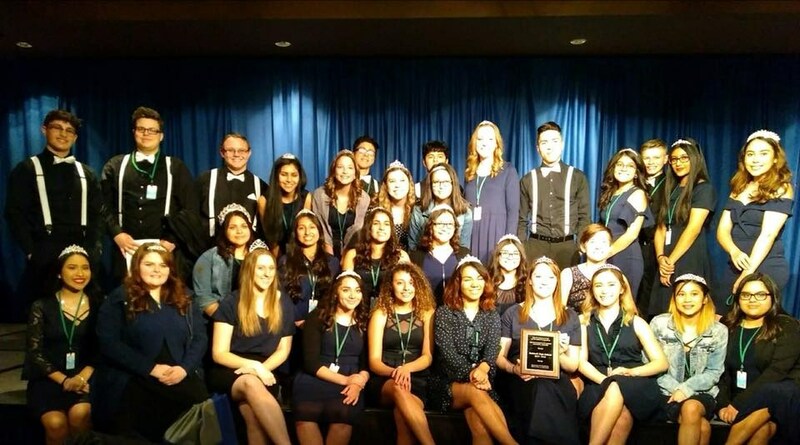 Our CHS Student Council was selected as the #1 Outstanding Student Council in the state. 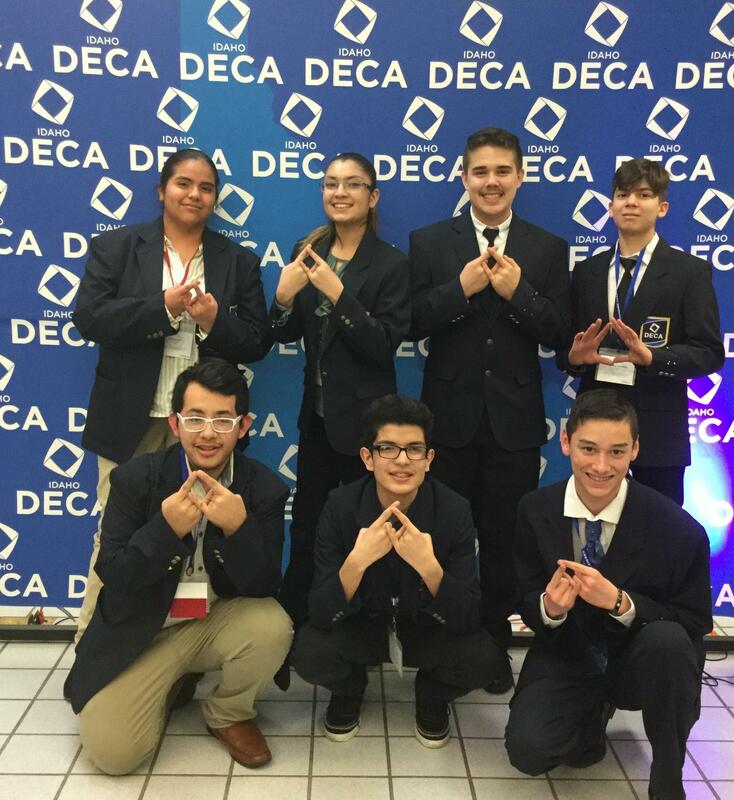 Veitaley Partida qualified to compete at an International DECA leadership conference held in Anaheim, CA in April, 2017. He competed in a virtual business retailing event. 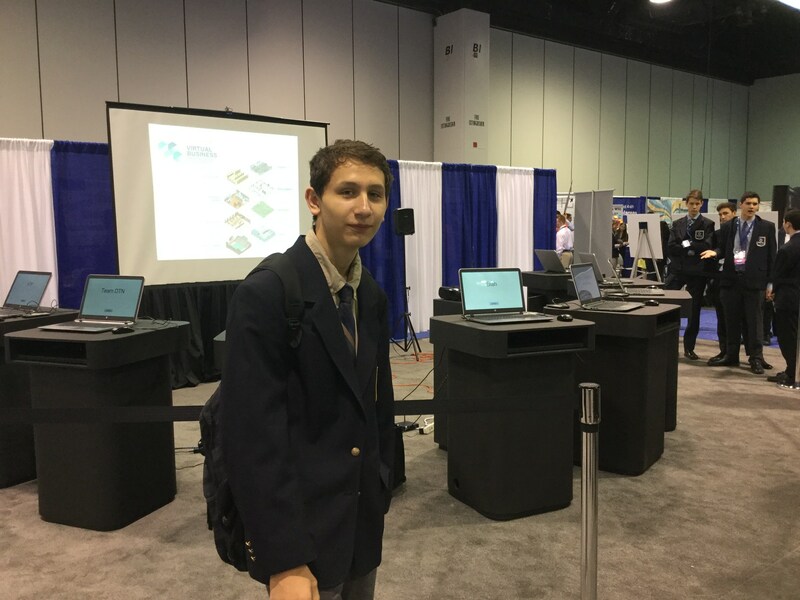 He placed among the top 5 students within the western region of the United States to qualify him for this event and made it to the semi-final round in Anaheim. Next year's International DECA leadership conference will be held in Atlanta, Georgia. 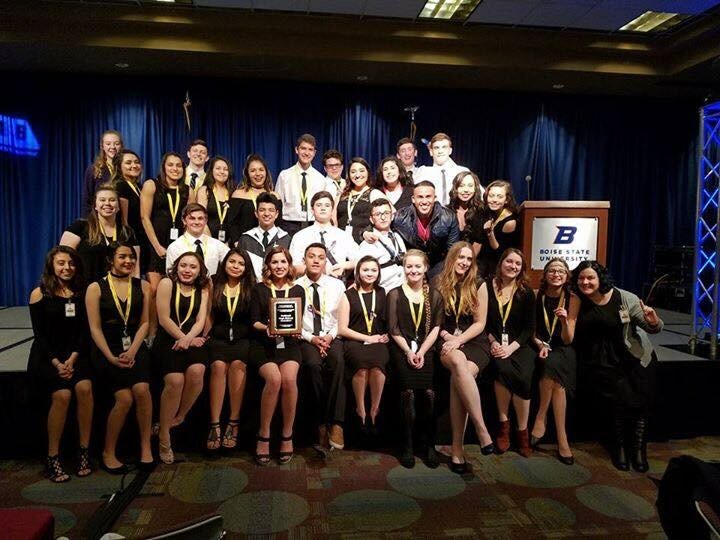 The Caldwell High Business Professionals of America Club participated in a Regional Event in Nampa (December 2016) against most of Canyon County's High Schools. Computer Animation Team- Lorelai Stitzel and Riley Whisenhunt, 2nd place, State Qualified. 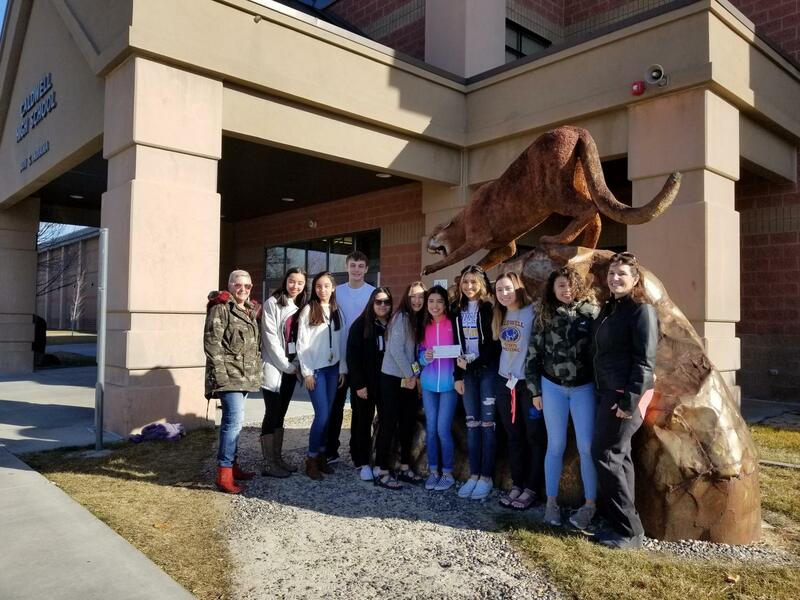 On Monday February 27th, the CHS Science Club participated in the Micron Science Bowl at Boise State and placed in the top ten for the Idaho Western Regional Competition. 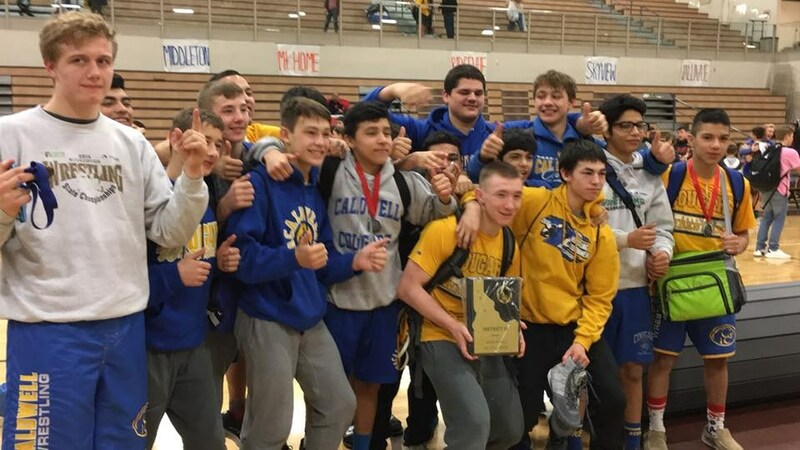 Students from Caldwell High School also won the sportsmanship award for the entire competition. Congrats to CHS Science Club! 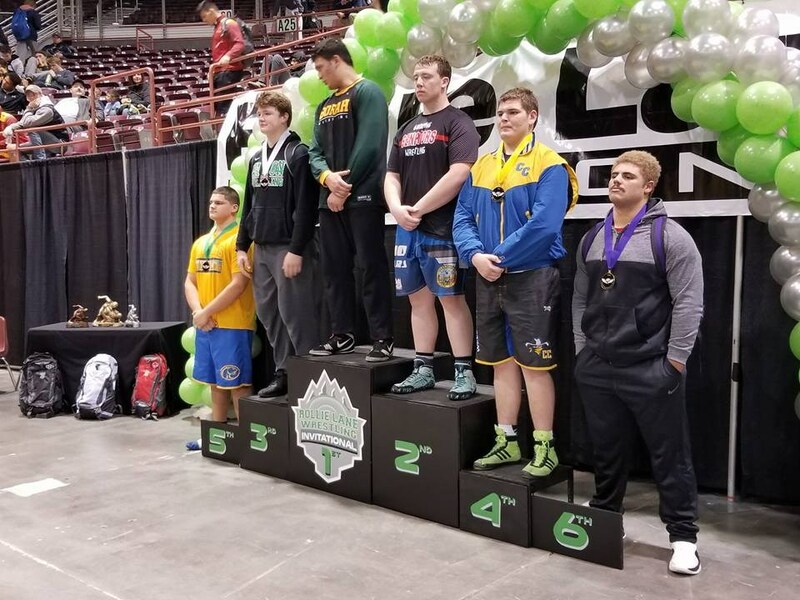 Caldwell High Senior Lita Forse won the girls shot put with a throw of 40 feet, 7.50 inches at the Simplot Games in side Holt Arena in Pocatello. (click to view Article in Statesman). Lita Forse also set the school record in the discus this year in the Knight Invite at Bishop Kelly -- she put up a mark of 135 feet, 8 inches in the discuss throw to break her coach, Amber Campos' school record. We are not done yet -- Lita took 1st place in the state track meet in Shot Put, and 2nd place in the state track meet in the discuss throw. Other State Track Meet Results: Ramos -- 6th Discus; Rohrdanz -- 4th High Jump; Nate Griswold -- 1st Triple Jump, 3rd in 110m hurdles, 2nd in long jump; Juan Savedra -- 16th in 1600m; Alyssa Wheeler -- 3rd in shot put. 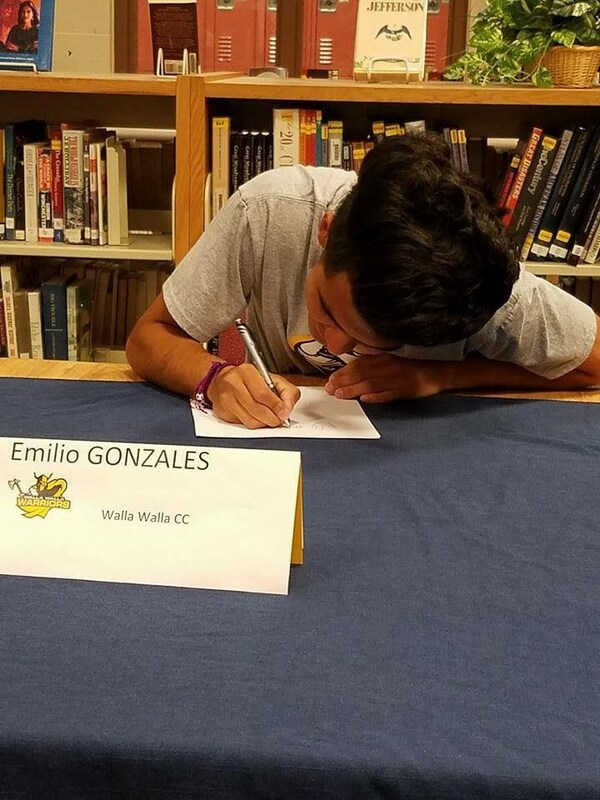 Lita Forse will attend Washington State University for Track and Field, Danny Cuevas will attend Northwest Nazarene University and play Soccer, Triden Mitchell will attend The College of Idaho and play Football, and Jesus Lechuga will attend TVCC and play soccer, Molly Davis will attend Westminister College and run Track, and Emilio Gonzalez will be attending Walla Walla Comunity College. Our own Mrs. Arnold. 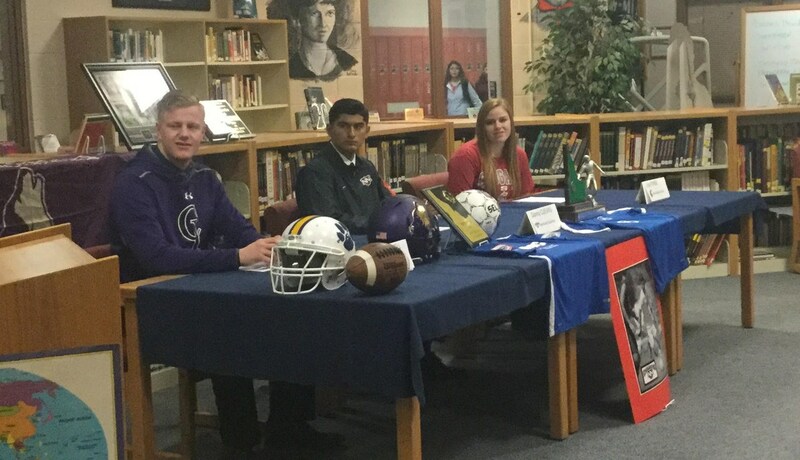 Doing great things in the classroom!! CHS school lunch program earnd a Gold Star rating through the USDA! !